I love to mix up a quick & easy slice. They are great for sneaking into lunchboxes, for adults and kids! This is a really simple one that doesn't require many ingredients, most of them are just staples in our home so they are always on hand anyway. And.... it's easy enough for kids to make themselves! Whisk together the flax and water and set aside til thickened. Combine all the dry ingredients in a large mixing bowl. Stir until well combined. In a smaller bowl mash the bananas well. Add the milk and flax seeds and stir. Make a well in the centre of the dry mixture and pour the wet ingredients in. Gently fold the wet ingredients into the dry until just combined. Do not overmix. Pour mixture into a 18cm square baking dish either lined or silicone. Bake in a preheated 180C oven for 30 minutes. *For a sugar free version omit the sugar and replace with 1 teaspoon vanilla. Noodles - my husband hates them.... I love them! So on the occasions that he doesn't join us for dinner, then I get to indulge! Chop the zucchini, broccolini and snow peas into pieces of desired size. Place vegetables and noodles into a large pot with water & bring to the boil. Once boiling simmer for 3-5 minutes. Whilst the noodles & veggies are cooking prepare the sauce. In a blender combine the spinach, nutritional yeast, garlic, lemon juice, tofu, soymilk, cornflour & herbs. Blend until smooth. Drain the noodles & veggies and then return to the pot. Pour the sauce over the noodles and stir over a medium heat for a few minutes until warmed through & slightly thickened. 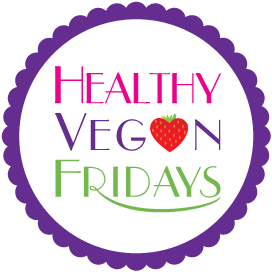 Add your recipe on Rock My Vegan Socks blog each Friday. With Term 3 starting back this week, my daughter is missing her warm lunches that she got on holidays. She asked me to share this recipe. Created by herself, it's a simple meal that she can easily make while Mummy is working from home. So here you have it, Miss Vegans favourite school holiday lunch. Split the muffin in half and toast it in a toaster. 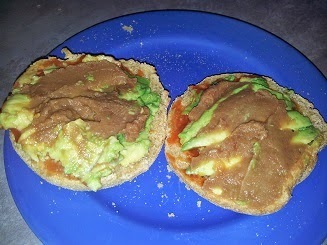 Spread the muffin with the salsa, avocado and refried beans. Put a slice of tofutti on top and then bake it in the oven until the cheese is melted. Are there any simple little meals that your school age children can make themselves without needing your help? Winter is well and truly upon us now, so warmer salads are appealing to me more than cold ones! To be honest I'm not one who enjoys plain boring salads, I like salads with lots of flavours and substance! And is there anything so beautiful as the colours of plant foods? Chop the onion (I did half in slices and half in little pieces just to be a bit different for a salad!). In a large frying pan saute the onion with the crushed garlic in a little bit of veggie stock. 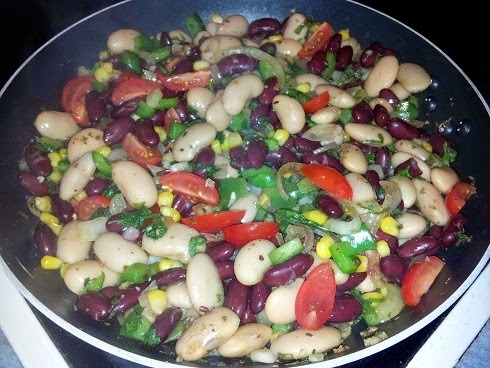 When the onions start to brown add the drained legumes, the corn, the chopped capsicum & celery. Fry for approx 5-7 minutes, stirring frequently until the veggies are lightly cooked. Quarter the tomatoes and add them to the fry pan. Sprinkle over the chopped fresh herbs and drizzle the Italian dressing over. Continue to cook for as long til the veggies are as soft as you desire. Serve over salad leaves. I used a combination of cos, iceberg & a bag of mixed leaves. 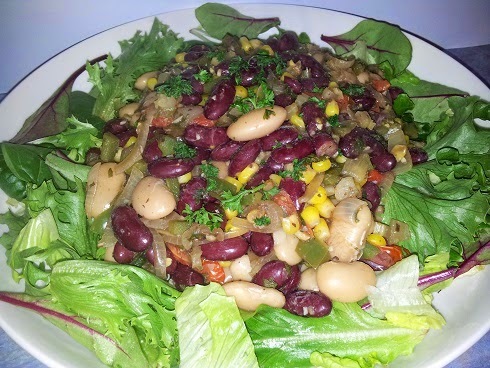 Do you eat salad in winter, or only in the warmer months? For this month's In My Kitchen I decided to share with you our 4th of July celebrations. We aren't American but my husband is a *tad* obsessed with all things American so I thought I'm make it a special night for him! The addition of liquid smoke meant that they definitely didn't taste like plain boiled carrots! I topped them with water sauteed onion and capsicum, along with sauerkraut and sauce. Served with corn cobs and baked home fries. All celebrations need a cake!!! I made a basic vanilla cake (recipe to follow) and spread with jam and decorated with fruit to 'mimic' the US flag (yes I do realise there is not enough stripes or stars!). Now for the cake recipe! Whisk the apple cider vinegar into the milk and set aside to thicken. In a mixing bowl combine the flour and sugar. Make a well in the centre and stir in the vanilla, applesauce & milk mixture. Pour into a lined 18cm square baking dish and tap to even the surface. Bake in a preheated 180C oven for 25 minutes or until cooked through. Do you celebrate the 4th of July even if you aren't in America?